At Wightscape we pride ourselves on not only professionally installing paving but on also making sure it looks right. Many installers will push for straight edges for ease of installation, we on the otherhand would rather install curves that look right and use more interesting patterns to give you the best possible result. 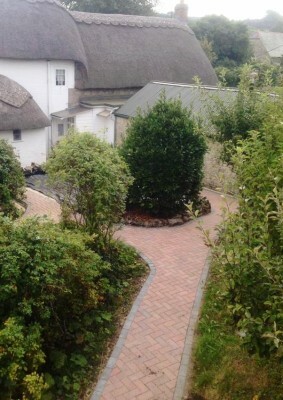 We can install all types of paving from Tegula cobbles, to herringbone Farmhouse brick in all shapes and sizes. Farmhouse country brick layed in a herringbone pattern with a feature compass stone. 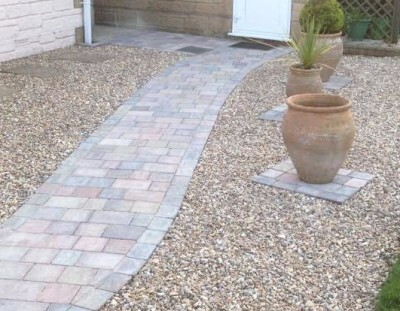 Brindle block paving by Marshalls. 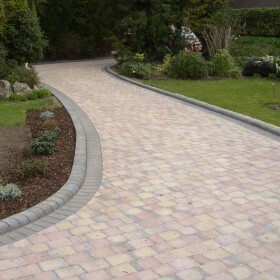 We can lay curving paths and make this cost effective paving look very attractive. Colours available include brindle (shown), charcoal, sandstone and red. Tegula cobbles are becoming the most popular choice. They blend in well with there tumbled edges and soft range of Autumnal colours. They are also very cost effective and great for sweeping paths.